Great news for job growth in the area. 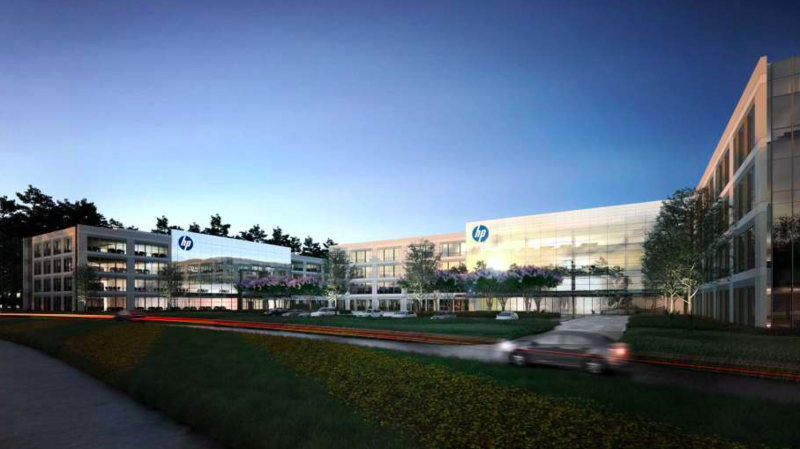 According to a recent article by Houston Chronicle, HP is building a new campus in North Houston. A new lease by HP will jumpstart construction of a new campus for the computer company in Springwoods Village, the developers announced. HP, which currently has offices in northwest Houston, will occupy 378,000 square feet in two buildings on 12 acres near Interstate 45 North and the Grand Parkway, according to the development group led by Patrinely Group, with partners USAA Real Estate Co. and CDC Houston. Construction will begin early this year with completion planned in the third quarter of 2018. The buildings, one with four stories and the other five, will house about 2,400 employees, Patrinely Group said. HP did not provide information about how many people would move to the new site from its existing offices near Texas 249 and Louetta. The deal adds another major company to Springwoods Village, which is home to Exxon Mobil, Southwestern Energy and will house the American Bureau of Shipping in CityPlace 2, a 326,800-square-foot building scheduled for completion in late 2018. The HP buildings will be just north of Southwestern Energy and east of CityPlace at Springwoods Village, a 60-acre project with offices, retail and apartments. The campus will connect by bridge to a lakefront public plaza with amphitheater set to break ground next year. CityPlace Plaza is scheduled to be completed along with the American Bureau of Shipping building in late 2018. HP, which separated from HP Enterprise in 2015, makes and sells printers, PCs and mobile devices. At that time, the company's name was shortened from Hewlett Packard, which had gained a major foothold in Houston with the acquisition of Houston-based Compaq Computer Corp. in 2002. The company has since scaled back its operations here. HP sold much of the northern part of its existing campus, including the buildings that make up the Centre at Cypress Creek, in 2006. Three years later, Lone Star College System bought several buildings. Now, HP is moving 17 miles away from HP Enterprise. Both companies remain headquartered in Palo Alto, Calif.
HP, which declined to provide additional information about the lease or the space it will leave behind, reported revenue of $48.2 billion in fiscal 2016. Barbara Thomason, president of the Houston Northwest Chamber of Commerce, is glad to keep HP in northern Harris County. The company, along with FoxConn, Noble Energy, Southwestern Energy and Exxon, is among the biggest employers in the region, Thomason said. HP does not break out employee counts by location. CBRE's Brandon Clarke, Charles Gordon, Alexander Somerville, Ryan Roth and Andrew Zeplain represented HP. Dennis Tarro of Patrinely Group and Chrissy Wilson of JLL represented the landlord. Houston-area office vacancy, which has been rising since late 2014, reached 20.3 percent in the fourth quarter, according to JLL. More deals could be forthcoming in Springwoods Village. "We are impressed by the level of activity and interest in a slow market," Fields, of Patrinely Group, said in an email. "We are working several other prospects, but nothing we can disclose at this time." Springwoods Village is a 2,000-acre master-planned community west of Interstate 45 between Springwoods Village Parkway and the Grand Parkway. Want to live within easy access of Houston Business Centers? Rosehill Reserve positions you near nonstop highways that lead to business opportunity, and the top business hubs are just 25 miles away. New homes will be available this spring! Contact usfor more information.